Recent Posts Price Of Surgical Lights In Your Operating Room – Halogen or LED? Price Of Surgical Lights In Your Operating Room – Halogen or LED? Throughout the years, we’ve provided surgical lights for operating rooms, exam rooms and emergency rooms to healthcare facilities across Canada. One of the common misconceptions is that lighting is either halogen or LED, and that’s where the it ends. The truth of the matter is that surgical lighting is complex with many variables affecting the initial and ongoing costs. When purchasing surgical lights, be wary of a bunch of impressive-sounding names and technical specifications getting thrown your way. If you’re not entirely clear on what they are and mean, how do you know that you’re getting the right light for you? The following article covers basically everything you need to know about buying surgical lights. The first and foremost factor is whether you want old-school halogen lighting or the way-of-future LED (Light-Emitting Diodes) lighting. What is the technical difference between halogen and LED? Halogen lights are similar to your everyday household light bulbs. Without getting too technical, halogen lights use a combination of a tungsten filament and halogen gas to create light. LED lights use a single physical element called a semiconductor, where microscopic subatomic electron particles begin to move around, generating energy in the form of light. In layman’s terms, LEDs are better. How do halogen and LED lights differ in performance? There are some major differences, each being of importance in its own right. Heat: One of the major concerns nowadays is the amount of heat the lights give off. Halogen gives off a lot more heat than LED. LEDs can be touched without the fear of being burned, as well as carry little or no risk in starting fires if being exposed to a combustible object. Halogens, on the other hand, burn at a much higher temperature meaning the risk of injury increases. In addition, the extra heat could affect the surgical team by creating an uncomfortable environment. Power consumption and life: Believe it or not, but LED lights can use as much as 75% to 90% less energy than halogen. Complementary to that is that LEDs will also last much longer. Halogen bulbs, on average, will last for approximately 3,600 hours, whereas LEDs typically last up to 50,000 hours (13 times longer). Keep in mind that these are maximum estimations. Color Temperature: Getting a light that has a brightness similar to daylight is generally optimal for surgeons. Daylight is measured at 5100°K (°Kelvin). On average, halogens will produce about a maximum of 4000°K. As it is, halogens already produce a hot infrared and ultraviolet light that need to be filtered out in order to produce a light more similar to daylight. The closer you get to daylight with halogen, the hotter the light and surrounding area will become. On the other side of the spectrum, LEDs produce very little heat while achieving a higher color temperature, averaging about 4300°K. LEDs will not produce infrared or ultraviolet light unless it is manufactured specifically to do that. Important to note: Actual specifications will differ between brands and models. Energy Usage: Whichever bulb you have, the cost of energy usage is calculated the same way – how many watts it takes to run it continuously for an hour. As an average guide, LEDs use anywhere from 7 to 20 watts per hour, in comparison to halogen uses of anywhere from 35 to 500 watts. 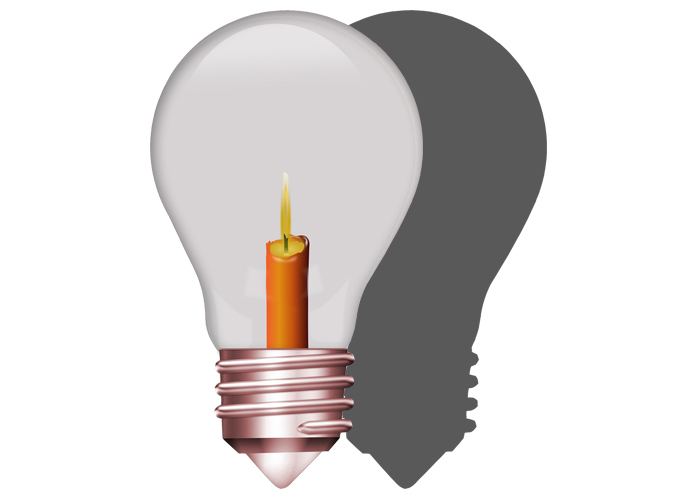 To simplify it even further, halogen bulbs uses approximately 9 times the amount of electricity as LED. To imagine the difference in ongoing cost, try multiplying the savings by all of the lightbulbs in your operating room lights. Shadow Reduction: The ability of a surgical light to minimize the effect of obstructions is called shadow dilution. This concept is a little harder to gauge and is measured in a percentage. Halogens have a higher chance of creating hot and cold spots in the light field, due to design. Whereas with LEDs, it doesn’t matter how many LEDs you block, the spot remains round and consistent. Believe it or not, there are two types of shadows, one good and the other not so good. Contoured shadows are good. They help the surgeon differentiate between fine tissue striations and vasculature. Contrast shadows are not good. They result from obstructions, such as hands or instruments. This is when you should look for a light that has high shadow dilution. Light Intensity/Brightness: Lux, Foot-Candles, Lumens are three different ways to describe light intensity, but there is a little bit of difference. Foot-candles and lumens are basically the same thing but just use different measurement units (i.e. imperial vs metric). For example, imagine it was your birthday, and someone just lit the candles on the cake. One foot-candle of light is the amount of light that the birthday cake candle generates one foot away. A lumen is equal to one foot-candle falling on one square foot of area, but it measures in metric. So, we’ve determined that foot-candles and lumens are the measurement of light that a light source produces. Lux, on the other hand, is the metric measurement of light of which something is illuminated. Now that we got that out of the way, let’s take a look at the difference in halogen and LED illumination. One thing to be very careful about is the distance specified. For example, Vendor A tells you that their light has 150,000 Lux and Vendor B says that their light has a lux of 100,000 lux. At face value, Vendor A has the better light. However, after reading this article and learning about surgical lights, you ask both vendors about the distance. Vendor A says that their 150,000 lux is from 0.3 of a meter away, whereas Vendor B states that their 100,000 lux is from 1 meter away. CRI (Colour Rendering Index): The CRI is a reflection of how well a light permits someone to make distinctions between subtle differences in colour. While halogen lights normally have a very high CRI number (which is good), CRI reports only on how well someone can visualize pastel colours. Important note: Pastel colours are soft and neutral. For some surgical procedures, the ability to distinguish between a pastel colour and deep, saturated colours is essential. To achieve this, the lighting industry created a special measurement, called the R9. Halogen lights will have lower R9 scores, as the attempt to filter out infrared light also filters out good, visible red light. With LEDs, there is no filtering as no infrared light is created, which results in a much more bold and vivid lighted area. It is very possible to see a halogen light with a high CRI and low R9. Ideally, you want both of them to be higher than lower. Depth of Illumination: In a setting where depth did not matter, depth of illumination wouldn’t matter very much. But the reality is that our bodies are very much comprised of different depths when laid out flat on a surgical table. The deeper a light can go, the better chance you have at maintaining a bright light at the area you are looking. Most lights will have the ability to adjust the depth field. Light Field Diameter: This is a fairly simple concept – how big is the diameter of light from a specific distance. This is a case where bigger is not necessarily better. Having a light field too wide may cause reflections that hinder the ability of the surgeon to focus on a single spot. Most lights will have the ability to adjust the light field diameter. The next question to ask in determining how much surgical lights cost is the function for which you are buying them. What types of surgeries are you performing? Do you need the light to be mobile? Are you planning to mount the lights from the ceiling or wall? Do you have the proper structural requirements in place or is that an extra cost? How many light heads do you need? Do you need single, double or triple? Do you need the light head to have a camera? How easy is it to clean and disinfect the light head? If you are adding lights to existing infrastructure, are they compatible? What is the rotation ability of the light? Can it go 360°? We all know some people who will say that buying Cheerios or Toasted Whole Grain Oats is the same thing – that the only difference is you’re paying for the brand. Every surgical light brand carries a different price tag. While both will illuminate what you want, one may do it better than the other or for longer and cheaper. Initial Cost: Do you pay a little more in the beginning to not pay as much as you go along? What does the higher initial cost include, such as better warranty, etc.? Operating Cost: Does one brand consume more power than another? Maintenance Cost: How much are the bulbs to replace? Surgical lights are very much a “you get what you pay for” type product. Warranty: What Is Included and for how long? Getting a good warranty is very important for any purchase, especially one as expensive as a new surgery light. Is it a limited warranty? If so, which parts of the warranty are limited? What is included in the warranty? Is it parts and labour; parts only; or, labour only? Are there any parts that are not directly included in the warranty, whether it be limited or not? Is there a limit on the cost of parts and or labour that is covered? The coverage and length of the warranty will greatly affect costs down the road, and spending more initially may benefit you in the long run should something happen. Make sure to inquire about the cost of extended warranties. Buying a high quality light is one thing, but having the confidence that it is going to be looked after in the case of a breakdown brings peace of mind, which may not be measurable at the time of purchase. Post Warranty: At some point in the lifecycle of the light, the warranty, and extended warranty if you bought it, is going to run out. One thing most people never check is what the light costs to own and maintain when nothing is covered. Think of it as buying a car in Canada. If you go with a common domestic model, parts and labour are going to be cheaper than if you buy an uncommon foreign vehicle. With lights, some are going to have more expensive parts and be more complicated to work on, hence a higher hourly service rate and more service hours. Careful consideration now may mean the difference between fixing your light after the warranty runs out and buying a new one. With so many variables affecting the final price, here are a few more that you should be asking every potential vendor. Where will the light be delivered? The shipping dock or the operating room? Assuming that the light goes directly to the OR, who is going to uncrate it and what happens to the shipping materials? What are the payment terms, such as net days, early payment discount, rebates, etc.? If there is no trial period, can you go to a location that already has one? Is there a trade in credit available for existing equipment you may have? Do you require training? Is it included in the price? Is factory training included? What about manuals, videos, etc.? What are the installation costs (if required)? So now that we’ve covered the numerous factors that influence the price of surgical lights, it’s time to talk about what you can expect to pay. *Please note that prices are estimations and can change without notice. 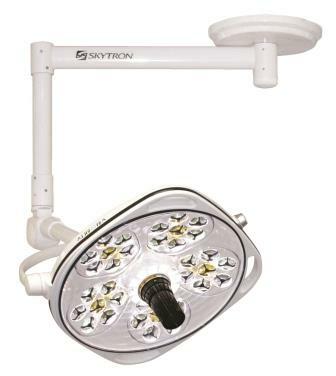 We have a great selection of new and remanufactured surgical lights. Being the exclusive Skytron distributor for Western Canada, we can offer the latest in Skytron lighting options, such as the Aurora Four LED, or Stellar XL LED. We also offer a great selection of Burton lights, including the Outpatient LED Exam Light. Ready to Buy Surgical Lights? I work at a medical device company and looking for light to simulate OR lighting conditions. A single light mounted on a stand would be the preferred form factor. Hi Angad! Thanks for the comment. Please check your email. We’ll be reaching out to you soon to go over your options. Thanks again! Hi, We’re looking for LED surgical lights for a plastic surgery OR. Thank you Yogy for reaching out to us, much appreciated. Certainly, someone will be in contact with you soon!